Aaryn Flynn may not be a name you’ve heard, but he was a vital member of the BioWare team for the past seventeen years. After a sudden resignation letter, Aaryn Flynn is set to leave the company after seventeen years, working at various levels within the company. Flynn is set to leave the company at the end of July, so In just under two weeks’ time his departure will be confirmed. In his shock resignation letter he thanked various employees, friends and fans for their support over his tenure in the company. 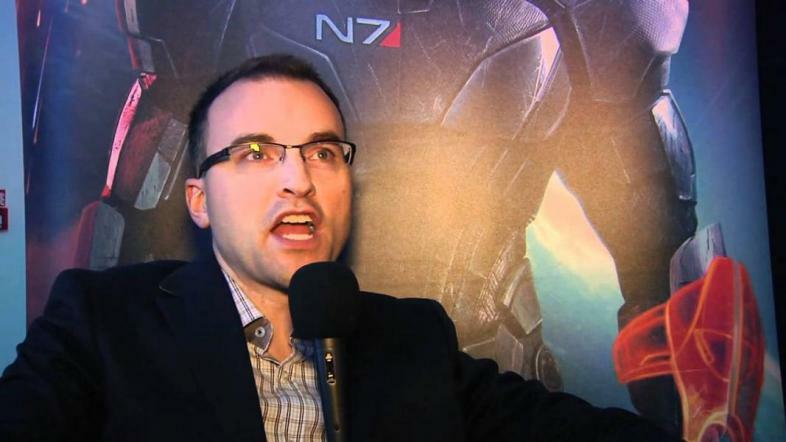 Aaryn noted in his resignation letter that changes to his personal life made him unable to continue his role as Vice-President of BioWare. His departure could link in with the lukewarm reception of Mass Effect: Andromeda, which was poorly favoured by critics and fans. Four months on and it’s regarded as BioWare’s worst RPG. It’s entirely plausible that this had some effect on Flynn’s resignation. No doubt this departure is upsetting, however hours after Flynn’s resignation was announced, former BioWare employee Casey Hudson stated his intention to return to the company. Hudson will be best known for the influence he had over the original trilogy of Mass Effect video games. In 2014, after 16 years of work, Hudson left the company to work as a project manager at Microsoft Studios. Three years later and he seems set to return. The tribute to Casey’s resignation can be found on the official BioWare forums. It has recently been revealed that Casey Hudson will be taking over from Flynn’s now vacant position. Hudson also worked on Star Wars: Knights of the Old Republic, a well favoured RPG from BioWare. Upcoming and fresh IP, Anthem, is a game that was originally helmed by Hudson. Now with the original visionary behind that project back in play, Anthem may be looking at some severe changes. This however is complete speculation, but is a definite possibility if creative differences are stretched. It has been rumoured that a main reason for Flynn departing is because of Hudson and his interest in returning to BioWare. Flynn has reported that he is currently helping Casey catch up to speed on current BioWare products and events. It is also evident that, given the backlash of the poor quality of Mass Effect: Andromeda, that Flynn would want a way out of the company. Fans have speculated that the reason for bringing back Hudson is so that they can get back on track with the Mass Effect series. All in all though, after seventeen years, a legacy has come to an end under Aaryn Flynn. Now with the return of Hudson, who knows what BioWare will be producing.